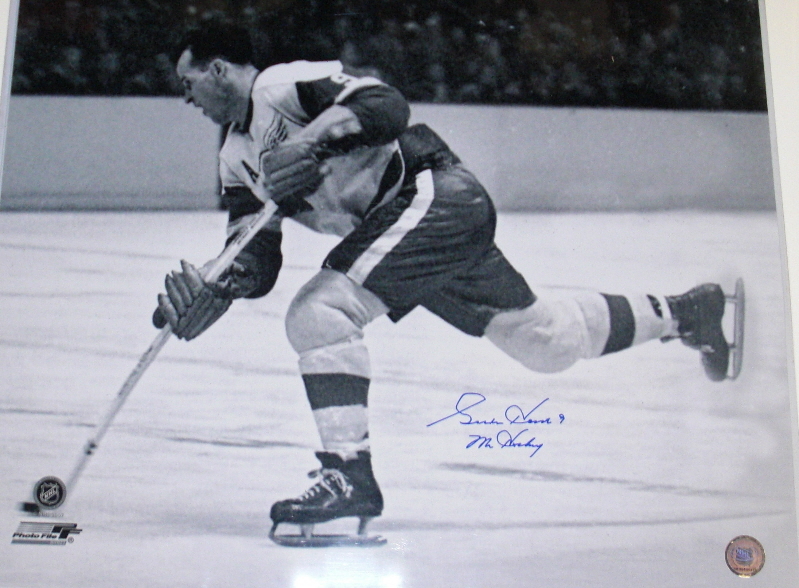 Vintage 16x20 inch poster size black and white action photo of the late, legendary Detroit Red Wings superstar Gordie Howe, autographed in blue marker and inscribed Mr. Hockey. 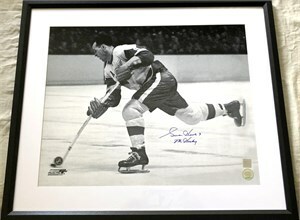 Authenticated by Real Deal Memorabilia, with their hologram on the photo and certificate of authenticity. ONLY ONE AVAILABLE FOR SALE.